As early voting begins in the Chicago mayoral runoff election, incumbent Rahm Emanuel has proposed tax-free zones allowing businesses exemptions on property, income, and sales taxes in impoverished neighborhoods. The idea is neither new nor promising. In fact, Illinois already has six Enterprise Zones in Chicago and they have very mixed track records. For example, Pepsi Cola General Bottlers, Inc. received Enterprise Zone subsidies, but automated its business processes and shed 14 positions after applying for the subsidies. The Sherwin Williams Company’s Chicago facility had 12 fewer jobs than when it applied for Enterprise Zone subsidies. And although the Solo Cup Operating Corporation has gained 24 jobs since applying, according to public documents, the company did not make use of Enterprise Zone State Utility Tax Exemptions for which it was eligible. In other words, they hired without needing subsidies. Research on the effectiveness of enterprise zones makes it clear these anecdotes are not atypical. As the Minnesota State Legislature found in a review, “the economic effects of enterprise zones remain unclear. Most studies find no significant increase in employment, while a few do.” Moreover, it concluded that enterprise zones are most likely to be successful in already thriving areas, not blighted ones. Most importantly, the review suggested that subsidies should never let the quality of public services drop as it would easily wipe any positive effects of the policy. However, many of Chicago’s poorest neighborhoods have been made less desirable by Emanuel’s closure of 50 public schools. Emanuel has proposed shifting dollars from other subsidies, including the heavily criticized TIF program, to pay for his rendition of enterprise zones. For the average company, state and local taxes amount to less than two percent of their overall cost structure. The business basics—the 98 percent of corporate cost structures that are not state and local taxes—almost always dictate why companies expand or relocate where they do, factors such as access to a qualified workforce, proximity to suppliers and customers, energy costs, availability of high-quality infrastructure and logistics. But while tax breaks can do little to move the needle on corporate location decisions, the opportunity costs can be enormous. Indeed, as we documented last year, subsidies in Chicago appear to have significantly harmed public budgets. 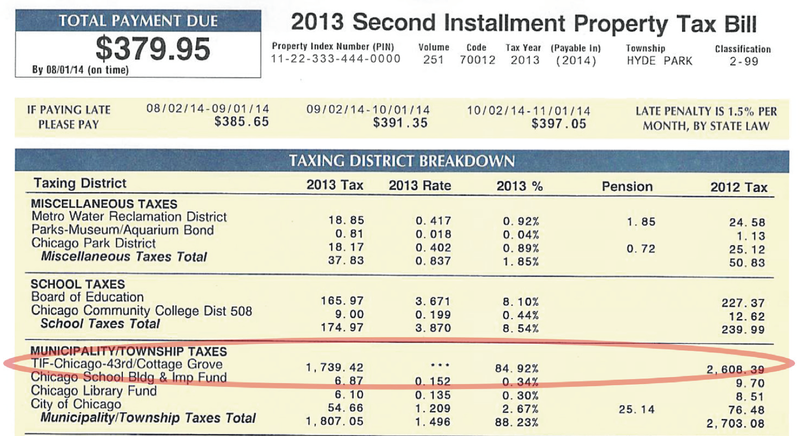 Since 1985, some $5.5 billion in property tax revenues have been diverted into TIF accounts and one out of every ten property tax dollars now ends up in TIF districts instead of funding schools and other public goods that benefit all of Chicago’s employers by investing in the labor force and infrastructure as well as keeping up with the city’s bills. It’s also important to consider that enterprise zones may do little to target job creation to communities of need. Without adequate community benefits like local hiring policies included in enterprise zone policies, companies may not hire from within a neighborhood hungry for jobs enabling inclusive revitalization and a pathway to the middle class. More coverage of the report can be found over at the Washington Post and the Washington City Paper’s Housing Complex Blog. Cities rarely spend so much — $2.6 billion — on infrastructure projects. A strong Community Benefits Agreement could make this public infrastructure investment provide a jobs stimulus benefit to District residents without spending an additional dollar. A proposed Community Benefits Agreement (CBA), like the District’s amended First Source Law, would establish a minimum percentage of work hours that must be performed by District residents, increasing to 50% over the next decade. New Jersey’s embattled Revel Casino received more bad news this week. State Senate President Stephen Sweeney has called on the Division of Gaming Enforcement to investigate the Casino’s “precarious financial position.” Despite the fact that it has been operating at a loss in 2012, Revel management has claimed that its inability to make good on its construction debts and city property tax bill is a result of Hurricane Sandy. Predictions that the casino will fold are growing louder. The controversial project was awarded a $261 million tax subsidy by the state in 2011 to assist its investors in leveraging additional financing to complete its stalled construction. While this recent news bodes poorly for investors and the state’s Economic Development Authority, it may be a relief for existing casinos in the region that are forced to compete with massively subsidized new development. This past week, the Chicago Teachers Union (CTU) strike has been making national headlines. But what major media outlets have overlooked is the role of tax increment financing (TIF) in worsening the fiscal situation for the Chicago Public School (CPS) system. The strikers, however, are making an issue of it. As Good Jobs First has documented time and again, TIF and other subsidies frequently divert property taxes away from school districts. 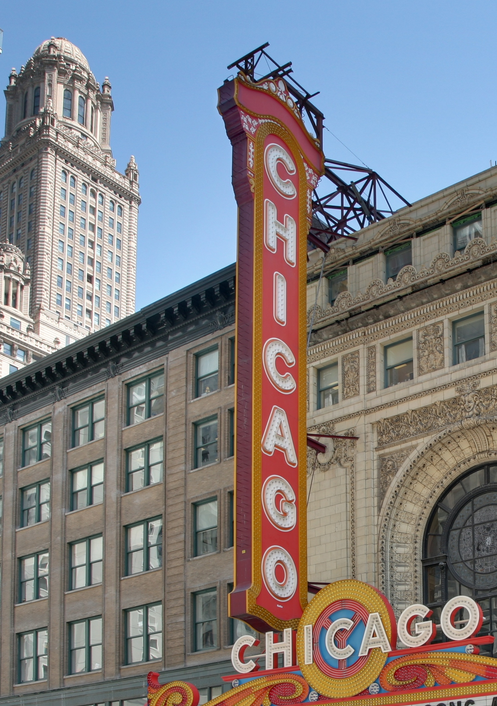 In Chicago, as well as Illinois generally which has about 1,000 active TIF Districts diverting over $1 billion each year, the problem is particularly severe: 10 percent of Chicago property tax revenues are diverted into TIF coffers. 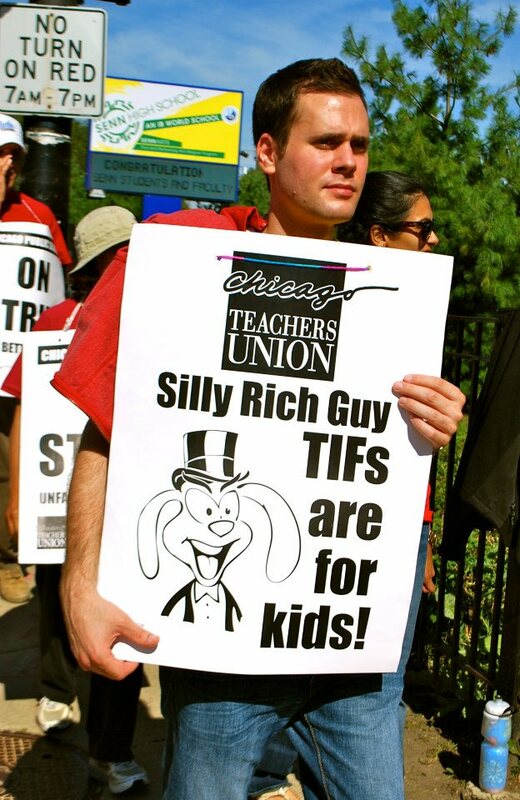 The CTU estimates that at the end of 2011, Chicago had $831 million in unallocated TIF funds sitting in bank accounts. Nearly half that money would have otherwise gone to schools. That number is also far bigger than the $700 million budget shortfall CPS had for the 2011-2012 school year which remains relatively unchanged for 2013. Instead, TIF monies are frequently utilized as subsidies for corporations. Yesterday, thousands of teachers picketed a Hyatt hotel which had received $5.2 million in TIF subsidies chanting “give it back.” Speakers gave impassioned arguments against the use of TIF. The choice was not a coincidence: Penny Pritzker, a billionaire whose family owns the Hyatt chain, is also an appointee to the Chicago Board of Education. Ultimately, all Illinoisans should also care about TIF in Chicago and elsewhere. The burden of school funding lost because of TIF property tax diversions is likely being made up for by all Illinois taxpayers. Pritzker’s role on the board of education and Hyatt’s TIF funding are not the only reasons that labor is unhappy with Hyatt. A Unite Here campaign called Hyatt Hurts has been calling attention to what it alleges are unfair labor practices at the company and calling for a boycott. We hope investigative journalists everywhere take notice: TIF has caused serious budgetary harm in Chicago and deserves more serious scrutiny in every school district. A study just released by the Census Bureau helps explain why property tax abatements and TIF are growing issues for people who care about public education. For the first time in 16 years, it reports, local funding (65 percent of which comes from property taxes) provided the greatest share of school funding. That reverses a long-term trend in which state funding has become a larger share of the pie (with federal support accounting for only a small share). But with states balancing their budgets in part by slashing aid to school boards and other local government bodies, local revenue matters more than ever. That’s why costly long-term property tax abatements, routinely granted to large companies in the name of economic development, hurt schools more than ever. The same can be said for tax increment financing (TIF) districts, which can divert huge sums of property taxes (and sometimes others) for decades. And that is bad news for real economic development that benefits all employers currently in a community. Schools also matter a lot for expansion and attraction. Because when an employer considers relocating to an area (and moving key personnel), the first thing those key employees want to know is: how good are the schools? And the HR director wants to know: we will be able to hire well-educated new-hires? And they will also ask: has school quality been supporting strong home values? Now more than ever, protecting the local property tax base from costly and unfair abatements and TIF matters for long-term economic development and a sound business climate. See also Stateline’s coverage here.